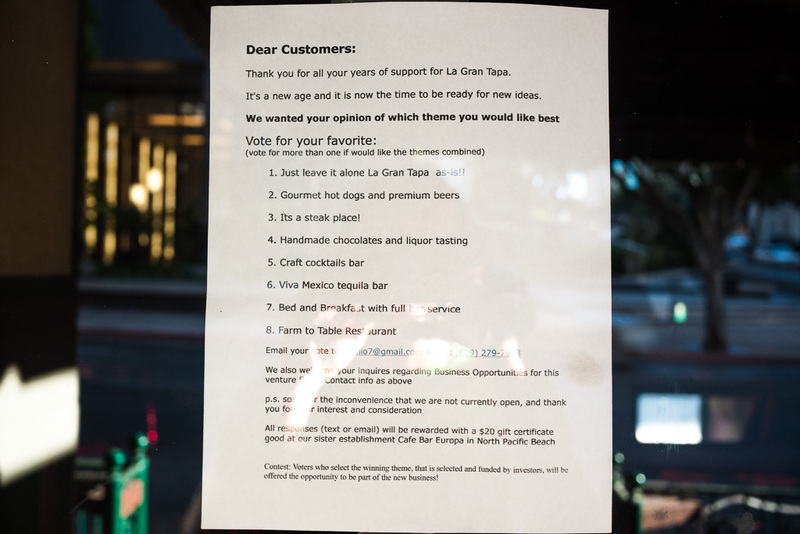 In strange Downtown news, recently-closed La Gran Tapa in the Core District seems to be having a bit of an identity crisis. 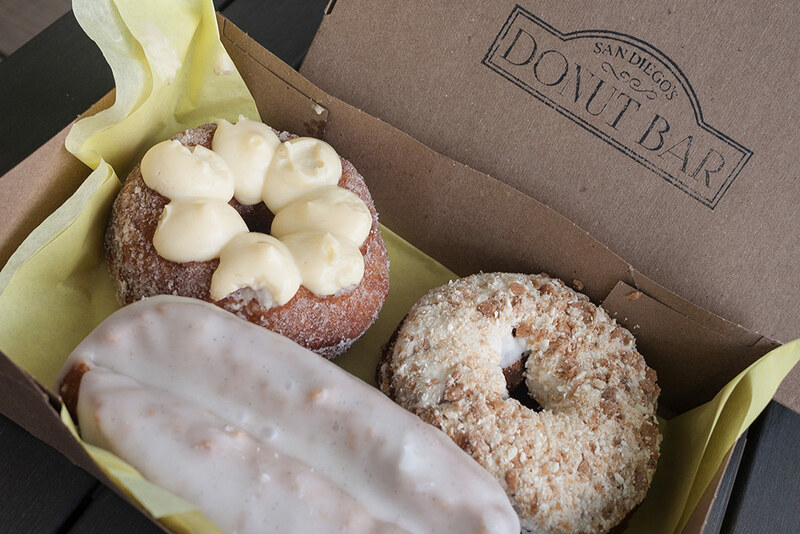 In May, we celebrated after a report that the team behind 1970s-throwback Sycamore Den in Normal Heights would be taking over the space. That doesn’t seem to be the case any longer, as the shuttered restaurant has had something different happening every time we pass by it. 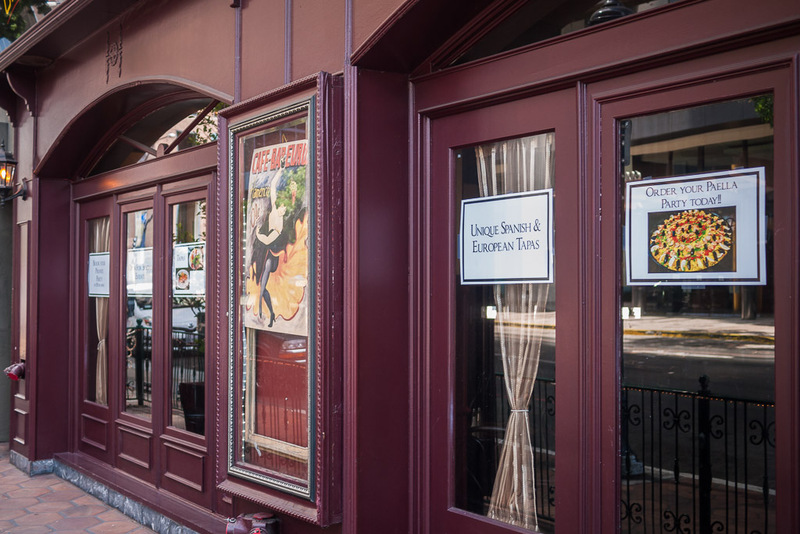 Last week, the current owner posted signs on each of the windows advertising the restaurant as an event space. Meanwhile, they’re also asking for “serious inquiries” to buy the place. Maybe we’re naive, but would people really call with anything but “serious” inquiries? What was even more odd were some of the previous signs posted on the windows. A month ago, they asked people to vote for what they wanted the space to become. The list of suggestions included everything from gourmet hot dogs to handmade chocolates to a bed and breakfast. The sign even said you could vote for a combination of the random themes. How does a bed and breakfast with hot dog room service sound? We wish we’d gotten a better photo of this bizarre sign because it left us with so many questions. Just by voting for the winning theme, we’d be part of the new business? We weren’t sure what to make of that. We did actually send our vote to the email listed, but never received a response. Hey, can we get that $20 gift certificate? 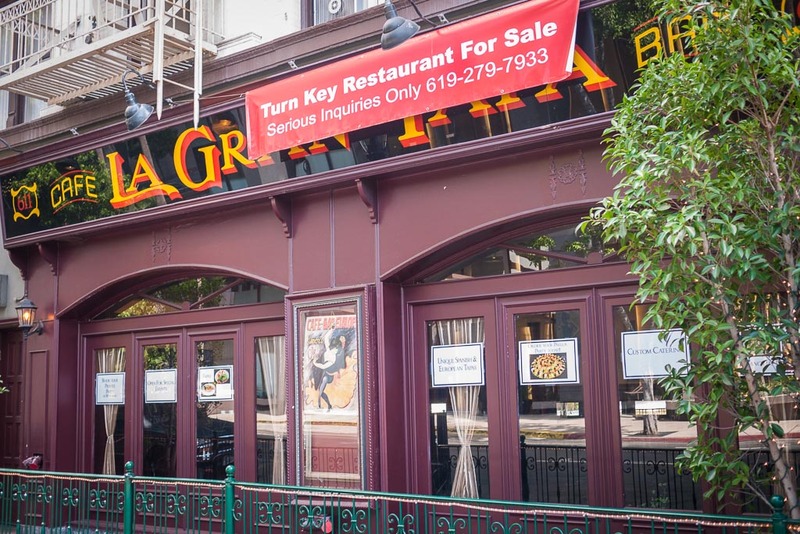 La Gran Tapa first opened in 1984 as San Diego’s first dedicated Spanish tapas bar. 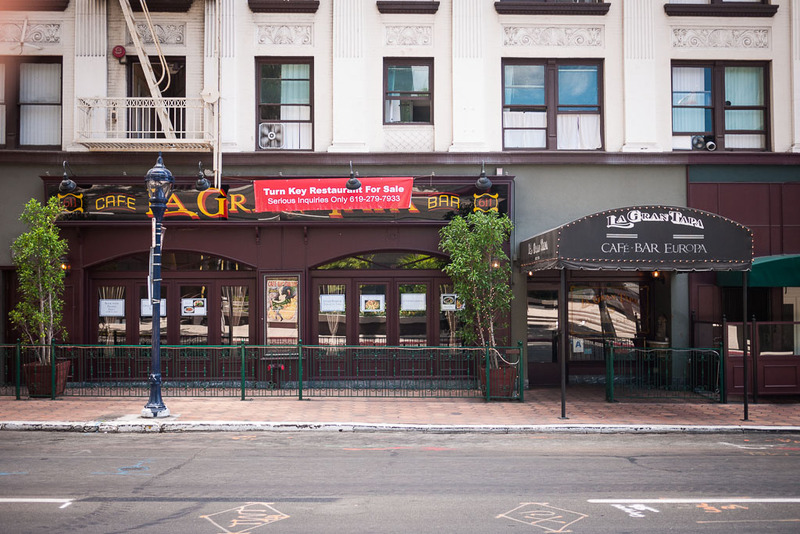 It’s seen many owners over the years, but became known for its live entertainment, great happy hour, and old European character. If recent Yelp reviews are any indication, it was overdue for a change. In particular, a point of contention seemed to be its mandatory 17.5% automatic gratuity. It doesn’t take an expert to know that automatic tipping is a turnoff for most diners. At one point, we hoped a revamp of this spot could jumpstart development in one of the last remaining quiet areas of Downtown. 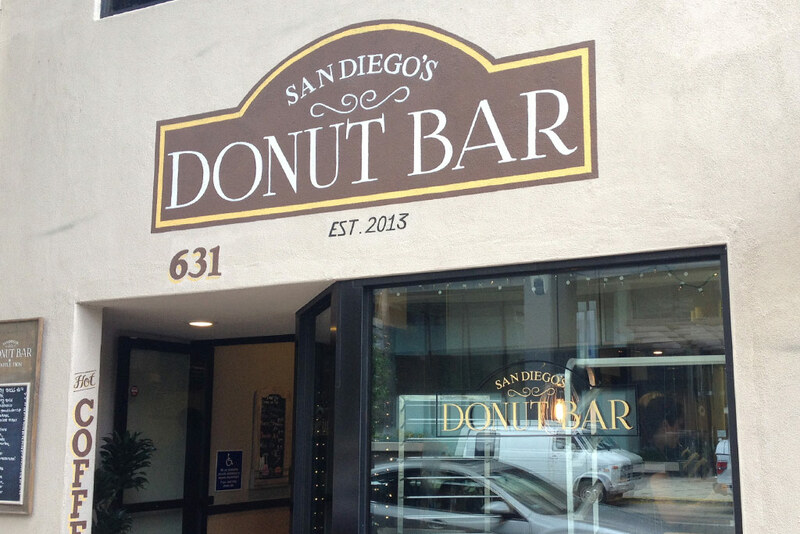 For now, it looks like adjacent Donut Bar is going to have to keep the block afloat on its own. 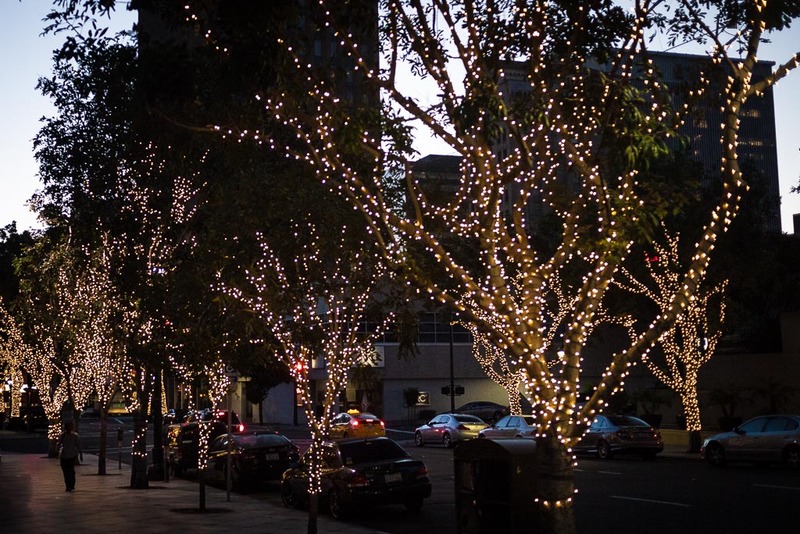 You may have noticed that B Street is twinkling brighter these days, as Downtown San Diego Partnership and SDG&E completed the first part of a new tree lighting program last month. 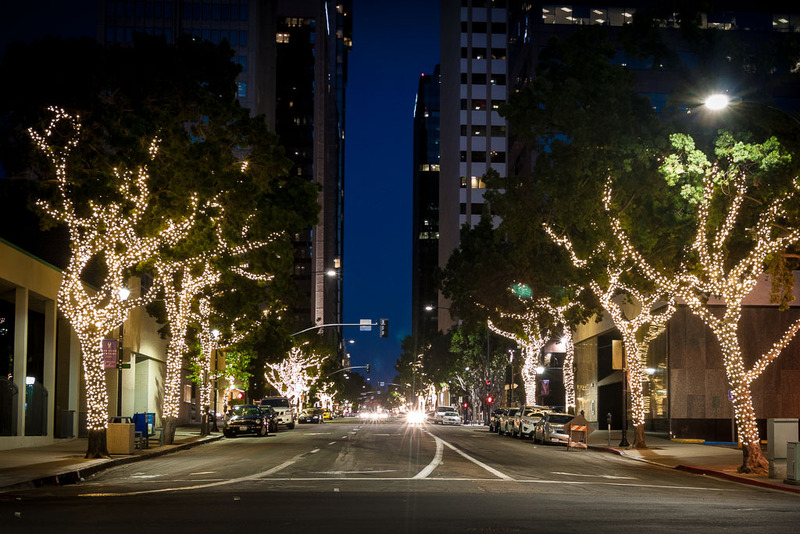 The plan is to illuminate more than 400 trees with LED lights on major corridors throughout Downtown. It’s all part of the Clean & Safe Program, which provides services like sidewalk cleaning and security patrols in five Downtown neighborhoods. Look for more lights to go up along Columbia Street, Kettner Street, Market Street, and Tenth Avenue in the coming months. 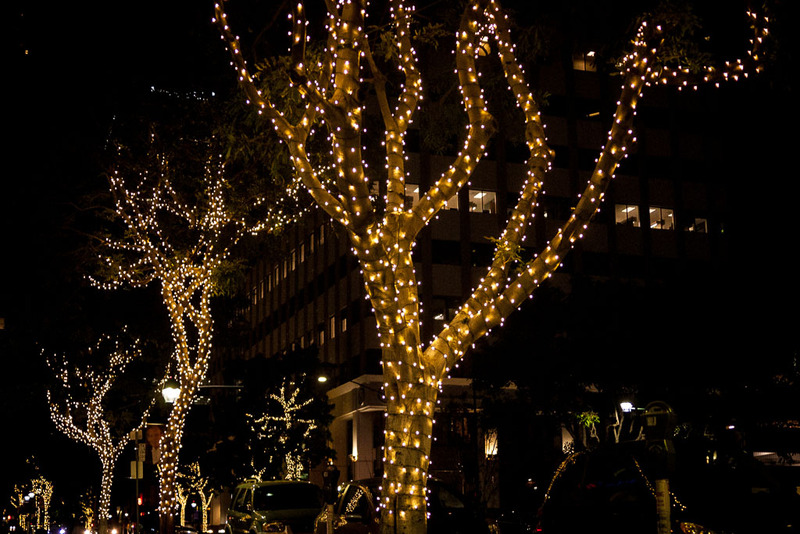 For now, take a walk down B Street and enjoy the lights.